Ceramic Metal Halide lamp family now comes in 220W, 230W and 270W models. 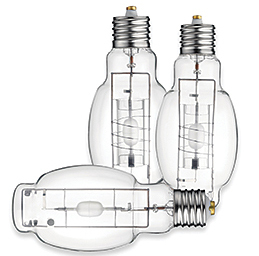 Cera Arc lamps offer efficacy rated up to 117 lumens per watt. The 230W and 270W models dim with an electronic ballast; the 220W model is designed as a retrofit onto 250W pulse start metal halide systems without changing the ballast.